The Taj Mahal which is known as epitome of love is truly a wonder. It is the pride of the nation. Truly described by Rabindra Nath as “a tear on the face of eternity“. It is a white marble mausoleum located in Agra which is a city in Uttar Pradesh, India. The Taj Mahal is widely recognized as the jewel of Muslim art in India and one of the universally admired masterpieces of the world’s heritage. It is a beautiful spot of attraction for various tourists visiting India. The Taj Mahal became UNESCO’s World Heritage Site in 1983. As it is known as Epitome of Love, so definitely you might be thinking that its history would have got something to do with love? In that case, you are certainly right. 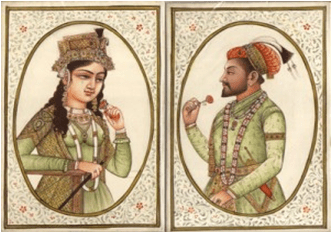 Going back to the times, Arjumand Banu Begam, better known by her other name, Mumtaz Mahal was married to Shah Jehan, the fifth Mughal emperor. Although it was emperor’s second marriage, but it was a real love-match. Mumtaz was Shah Jehan’s comrade, his counsellor, and inspired him to acts of charity and imbibed the quality of benevolence towards the weak and the needy in him. She was the mother of fourteen children and died at the time of childbirth in 1630 in Burhanpur in the Deccan.Grief stricken, Shah Jehan determined to treasure her memory forever decided to build his beloved wife the finest building which was never built before – a monument of eternal love. It was Shah Jehan’s everlasting love for Mumtaz that led to the genesis of the Taj Mahal. After twenty-two laborious years, and the combined effort of over twenty thousand workmen and master craftsmen, the complex was finally completed in 1648 on the banks on the river Yamuna in Agra.The queen’s body was originally buried in Burhanpur itself but was believed to have been recovered for transportation to Agra where it was reburied in a grave in the Taj Mahal complex for at least 12 years to be again shifted to her final resting place in the basement of the monument. The pillars surrounding Taj Mahal are slightly tilted outwards so that in the event of an earthquake they will fall away from the tomb thus preventing it. The Taj Mahal in India is perfectly symmetrical, except for one thing and that is, the two tombs inside are not equal in size because the male tomb has to be larger than the female tomb. The Taj Mahal appears with different colours at different times of the day, from a pinkish hue in the morning, milky white in the evening and golden at night when lit by the moon. It is said that the changing color resembles the changing mood of females – in particular, the Emperor’s queen. It uses the principles of self-replicating geometry and symmetry of architectural elements. More than one thousand elephants were employed to transport the construction materials used to build the Taj Mahal. It is said that many precious stones were ripped off from the walls of the monument by the British during the Indian rebellion of 1857. In total, 28 types of precious and semi-precious stones were inlaid into the white marble. Sources say that Emperor ordered to chop off the hands of the workers who had constructed the Taj Mahal so no one could make anything like it. The actual graves of Shah Jahan and Mumtaz are not visible to the public and 99 names of Allah are also carved on either side of the grave of Mumtaz.